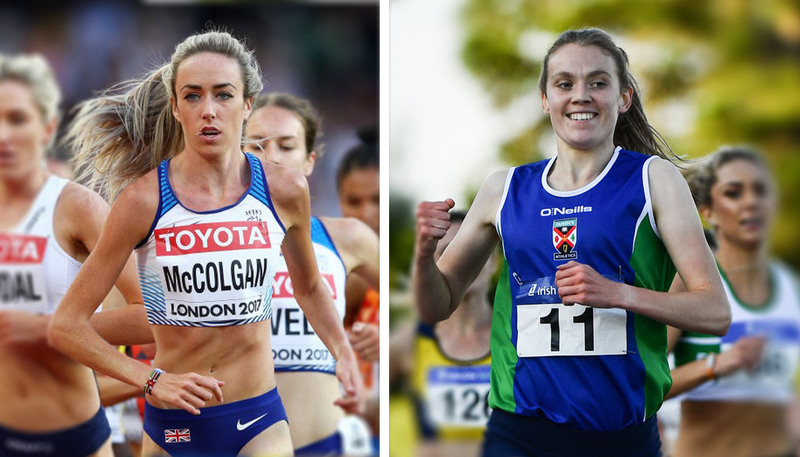 Eilish McColgan broke the women’s course record to win the Leeds Abbey Dash today (November 5) and Emma Mitchell broke the Northern Irish 10K record to finish second. McColgan, the winner of the race in 2016, retained her title clocking 32:05 to set a new course record in the 32nd edition of the popular 10km race. It is the 26-year-old’s first 10K race after the off-season break and follows a fourth-place finish at the Giro Podistico di Pettinengo 4km road race last month. McColgan’s success this year includes multiple personal bests on track and road, including a 10km road best of 32:01 in Doha in January. Mitchell finished second with 32:51 – a new personal best for the Irish international and a Northern Irish record. The previous record of 33:46 was set by Teresa Duff 24 years ago. 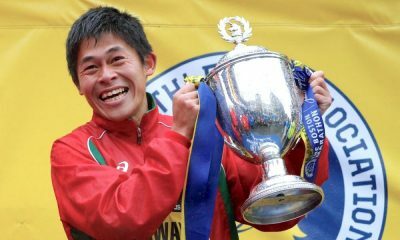 This year the 24-year-old also broke both the Northern Irish 5000m and 10,000m records as well as clinching two Irish national titles over 1500m and 5000m. Mitchell recently reflected on her fantastic year in an interview with Fast Running – read it here. Ashley Gibson completed the podium with 33:30. It was a personal best for the Tonbridge AC athlete who has spent most of her athletics career at shorter distances. Following Gibson, was Josephine Moultrie in 33:38, and Rebecca Robinson of Kendal AAC with 33:49. Known as one of the fastest road races in the UK, eight women dipped under the 34 minutes barrier. Sam Stabler stormed across the line in 29:13 to win the men’s title and took a huge chunk off his only known road 10k time from 2015. Stabler who recently returned to the UK after studying in America won the Cardiff Cross Challenge last month. The 25-year-old has impressed with his recent performances on home soil and expectations will surely grow over coming months. Finishing second was Irish Olympian Paul Pollock, posting 29:20, with Ben Connor third, also in a time of 29:20. Behind Pollock and Connor, Andrew Hayes finished a fine fourth with 29:22 and Matthew Leach was fifth in 29:25. Nigel Martin of Sale Harriers ran superbly to hold onto the back of the main group, rewarded with his first sub 30 minute 10km. Jonny Mellor, last year’s men’s winner finished 10th with 29:51. 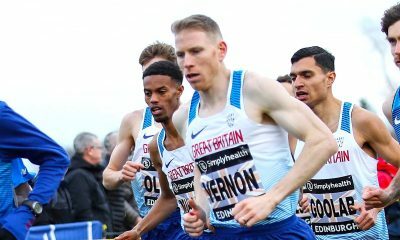 The men’s race lived up to its reputation for quick times with a total of 15 men (chip time) dipping under the 30-minute barrier on a cool morning in Leeds. 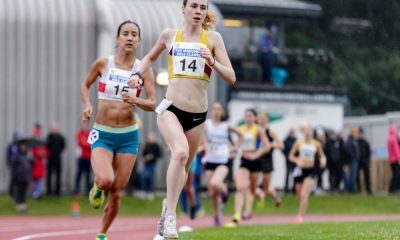 The Abbey Dash also incorporated the English National 10km Championships and staged inter-regional teams from the North of England, Midlands and Scotland. As well as a team featuring members of the Armed Forces, a Birmingham University team, and a combined Leeds University and Leeds Metropolitan team. 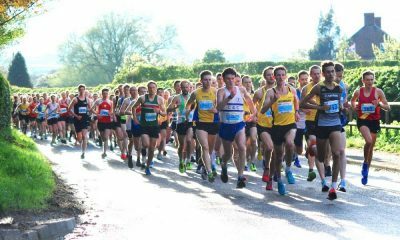 The work of Elite race Manager Rob Cameron has once again proved hugely successful in attracting high-end domestic competition to the Abbey Dash, highlighted by 31 men running under 31 minutes. The full results can be found here.